The Deep Wave Lace Front Wigs Guide. 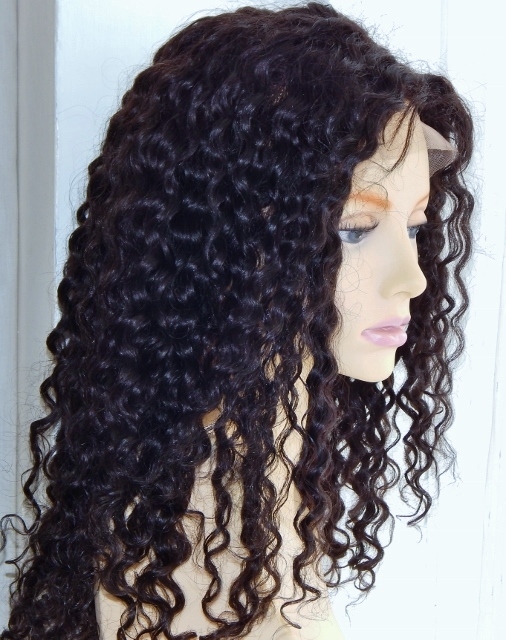 The deep wave texture is a striking texture for lace front wigs. The images below show you the intensity of the ripples in the deep wavy look and from afar, could be mistaken for soft curls. If you’re here because you’re looking for information about the now seemingly ubiquitous lace wig because your need to wear or a wig or simply want to wear one, then this is the place to find out why wearing a deep wave textured wig will make passers by think it’s your own incredibly wavy hair. Our Store has plenty of options for you. Who Can Wear Deep Wave Lace Front Wigs? The deep wave texture is a dramatic look that can be worn by all. We would also say that, as the hair can sometimes be glossy, those with afro hair textures may want to find a Yaki based deep wave full lace wig which simply resemble relaxed afro hair with an impressive deep wave pattern – it’s your hair so entirely your choice. 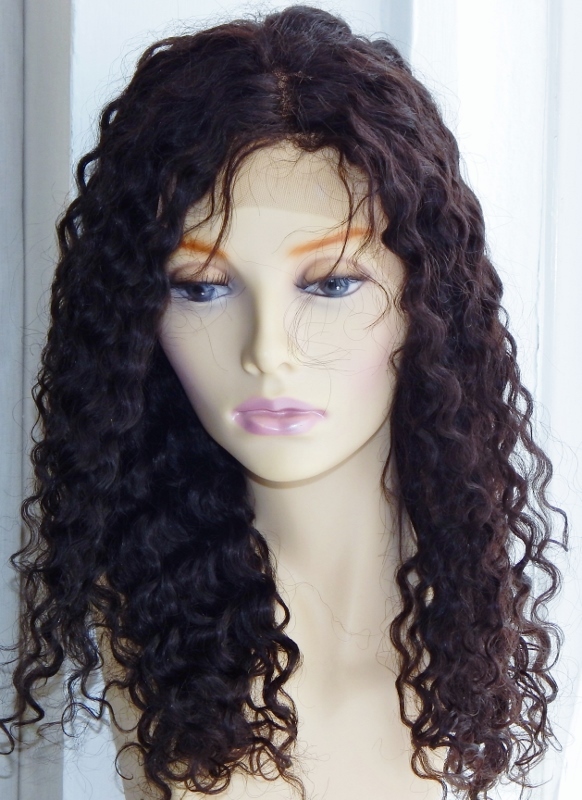 You’ll be able to find deep wave full lace wigs in a variety of lengths. Your human hair Remy lace wigs will cost you more if it’s beyond 18 inches due to the smaller supply of donors that have that length of hair. Lengths for deep wave full front wigs are typically 10 – 24 inches, nonetheless you’ll find places that offer 8 – 36 inches including right here at Peruke – Hooray! Remember when choosing a human hair deep wavy wig to decide whether you only want 100% Remy hair for your wigs for human hair wigs or whether non-remy lace wigs are also an option. Indian, Chinese, Brazilian and Malaysian Remy hair naturally comes in black to dark brown with the other colours being dyed into the wig. You can find colours in every shade up to blonde with deep full lace wigs, but for a light colour al over the wig, you’re likely to find that these are in the custom lace wigs’ section instead of the ready to wear stock lace wigs’ section. It’s worth noting that the lighter colours can be expensive because of the permanent dyeing procedure, so you may plump for a darker base colour with 1- 2 highlight colours over about 30% of the wig. 1. Always wash your deep wave lace wig on a mannequin head (a polystyrene/Styrofoam head is fine) to give you overall control over the process. 3. Never blow dry your deep wave wig with a hand held or hooded dryer! This shrinks the lace and damages the hair which we guarantee will upset you! As a broad rule, don’t use straighteners as the wave pattern is set and may not return in its uniform state. If you feel obligated to straighten your wavy wig, use a low setting and don’t do it regularly. 4. Use an anti frizz serum when wet as well as a deep conditioner like Motions or Silicon Mix to reduce frizz on on your dazzling deep wave full lace wig. Shun of anything with mineral oils as this spoils the hair. Moisturize with an oil free spray or water based moisturiser. You can also mix 30% glycerine with 70% water for a light moisturiser. 5. Use a Denman brush for your water wave lace front wig and only brush the hair when wet – but don’t over comb it as that can cause shedding of your deeply wavy full lace wig! There’s the whole kit and caboodle guide to your deep wave lace front wigs – it’s the bee’s knees!